In this guest column, Armen Berjikly, senior director of strategy at Ultimate software, discusses why HR professionals should reskill themselves now for technologies just beginning to emerge. Think back to how you felt when you accepted your first job in HR. What did you expect your day-to-day life to look like? Sure, you probably imagined you’d be handling some paperwork, but you also probably saw yourself working closely with employees and candidates to make their experiences in the workplace as enjoyable and productive as possible. Many HR professionals are initially drawn to the career path by the promise of a chance to make a meaningful, positive impact on the lives and careers of the people they serve. Unfortunately, the realities of HR tend to be much less rosy. Between massive amounts of employee data, government compliance requirements and the constant struggle to get buy-in from executive leadership, many great ideas for improving the employee experience never make it out of Human Resources. So how can HR professionals get back to the kinds of work they wanted to do when they first entered the field? Emerging technologies paving the way for the future workplace may hold the answer. The rapid growth of automation and artificial intelligence technologies is quickly changing the nature of the modern workforce. Many employees fear their jobs will soon be rendered obsolete (though no one can reliably predict how many jobs might actually be lost), and more organizations are taking steps to re-train and upskill their labor forces. Though much has been written about what the future of work will mean for rank-and-file employees, we have yet to explore what this workplace evolution means for the HR pros who will help guide the transition. The idea behind many automation technologies is that repetitive, administrative tasks requiring a lower level of skill will be managed by automated systems, freeing up time for workers to focus on higher-level tasks that can’t be replaced by computers. In a factory, that might look like robots taking over components of manufacturing while the human workers focus on quality testing. In the HR department, that might mean an AI-powered chatbot takes over the task of answering employees’ frequently asked questions, allowing HR professionals to spend less time fielding very similar calls and more time engaging with employees, candidates and senior leadership face to face. One key advantage for HR professionals in the future workplace will be the ability to significantly reduce the time spent in feedback loops between employees and company leadership. The HR team at Steel and Pipe Supply Companies in Manhattan, Kan., offers a great example of how that’s possible with new HR technology. In the past, SPS administered an annual leadership and engagement survey to its 600 employees using a simple online platform. However, because more than half of the company’s employees work primarily on a manufacturing floor without regular computer access, HR representatives at each warehouse location had to manually distribute hard copies to each worker, collect and hand-tabulate the results for their location, then hand-key the responses into a spreadsheet before sending the results to the corporate HR team. All the manual handling of employee data left a wide opportunity for unintentional human error, and that was just in the information-gathering stage—corporate HR managers then still needed to compile, review and analyze the results before preparing reports for relevant stakeholders. The time spent transferring handwritten feedback to digital systems and manually analyzing results dragged out the process for as long as six weeks for each company-wide survey. But the work didn’t end after the reports finally made it into the relevant managers’ hands. Actually making a tangible impact on the employee experience based on the survey feedback took even longer. Once the data was collected, managers needed to spend time synthesizing the information and deciding on the best ways to act on it. At some companies, such as Tennessee-based financial services company First Horizon, the process took so long that–by the time company leaders had a chance to put together an action plan based on the data–it was several months after the survey was administered, and the HR team was already gearing up to prepare the next annual survey. These extended feedback loops can cause employee concerns to go unaddressed, the introduction of unconscious bias into the interpretation of results and increase the chances that productivity levels drop or employees leave the company altogether—all major concerns for HR teams across industries. Now imagine: What could these HR teams accomplish if the tedious, error-prone work of manually administering employee surveys and analyzing feedback was substantially automated? After switching to a survey solution powered by AI and natural-language processing to make sense of critical open-ended question responses, the SPS HR team was able to view company-wide results immediately after the survey closed, featuring detailed graphs and plain-language data insights that were automatically routed to the appropriate managers. The entire survey process was cut from six weeks down to less than four days, and the time savings allowed the department to focus its efforts and energy on improving the day-to-day lives of employees (that all-important, aspirational goal of HR). This, in turn, led to real, tangible impacts on employees’ well-being. Following the switch, SPS launched SPS Thrive, a brand-new, HR-led wellness initiative offering nutritional, physical, mental/emotional and financial support for employees. In the past, there has been a perception that HR is more of a necessary evil than a vital and valuable component of any business (just look at the portrayal of HR pro Toby Flenderson in The Office). Now, as public attention has turned to high-profile problems related to company culture and employee safety, HR’s role is growing in importance, and CEOs will need to pay closer attention to the insights and ideas coming out of the HR department. Something I’ve heard from HR leaders in recent years is that they don’t need more data—they’re already drowning in it. What they are really looking for are practical answers backed up by data. Well, I’m happy to report that HR technology is unlocking the ability to get those answers more quickly, empowering HR to take on a more strategic role in high-level executive conversations about the direction of the business. As governments around the world begin to mandate employee-pay disclosures and gender diversity on corporate boards, HR and payroll teams have more opportunities than ever to influence company-wide policy changes. With the help of HR software, a payroll team can potentially quickly compile and analyze wider trends in compensation across the business. Armed with that knowledge, the team could raise their findings with the C-suite and offer impactful solutions to ensure pay parity across genders and cultural backgrounds. More sophisticated HR solutions can also arm HR teams with crucial insights around employee benefits, which can have a major impact on employee happiness, retention and a company’s bottom line. Using information gleaned from an automated employee-benefits survey, the HR team at SPS was able to make important recommendations to the leadership team about the critical-illness benefits the firm offered. Workers who used the benefits expressed concern about the complexity of the eight different options they had to choose from, and the survey revealed that just two of the choices were being used. After presenting these insights to top decision-makers, the company was able to cut down the number of options, saving money for the business while simplifying the benefits enrollment process for employees. These kinds of evidence-based recommendations help demonstrate the value of HR to the overall health of the business, both in terms of workforce well-being and the optimization of business operations. In the future, automation technologies and predictive analytics could also extend to other areas of HR, accelerating and simplifying administrative-heavy projects such as recruiting, onboarding, performance reviews and succession planning. There has been some discussion about technology taking the “human” out of “human resources,” but I would argue that the opposite is true. New HR technologies have the potential to elevate the kinds of soft skills that are most “human.” With more time and resources at HR’s disposal, business leaders can expect to see brighter, more data-driven ideas, happier employees and a stronger overall company, all stemming from an empowered and tech-savvy HR department making a major impact on the lives of the people they serve. Isn’t that why we all got into HR in the first place? 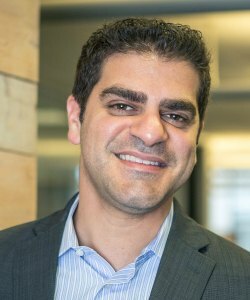 Armen Berjikly is senior director of strategy at Ultimate Software of Ultimate Software, a leading cloud provider of HCM solutions. Based in Weston, Fla., Ultimate Software is a sponsor of the HCM Technology Report.